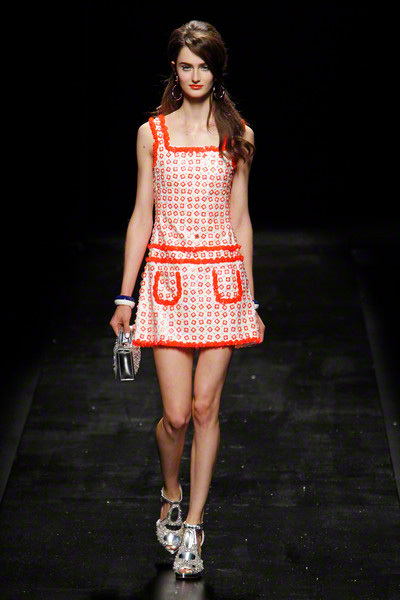 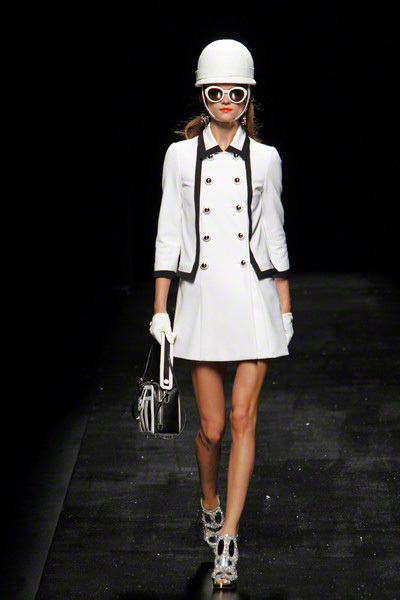 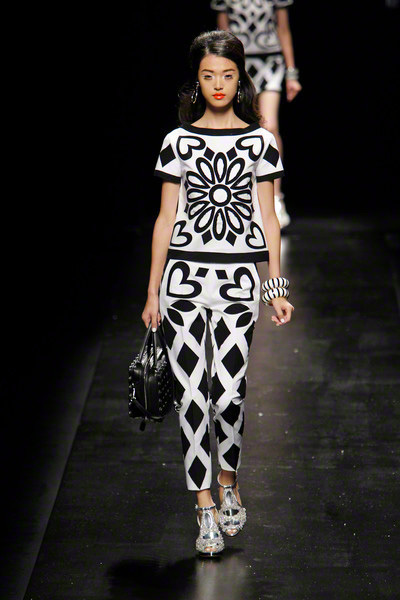 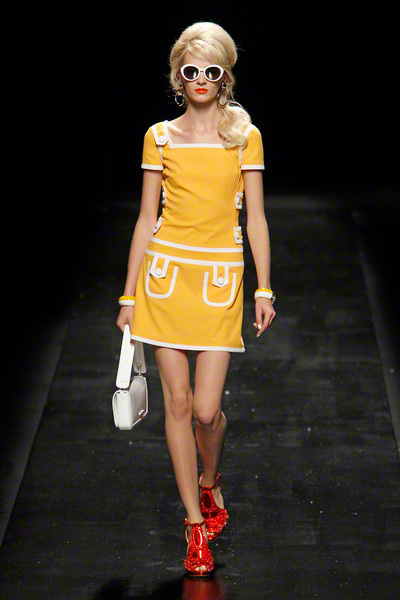 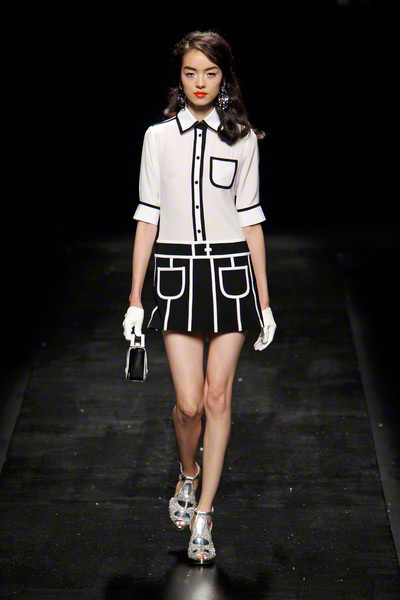 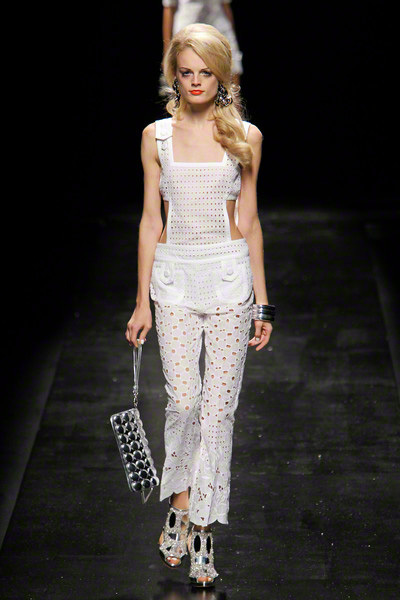 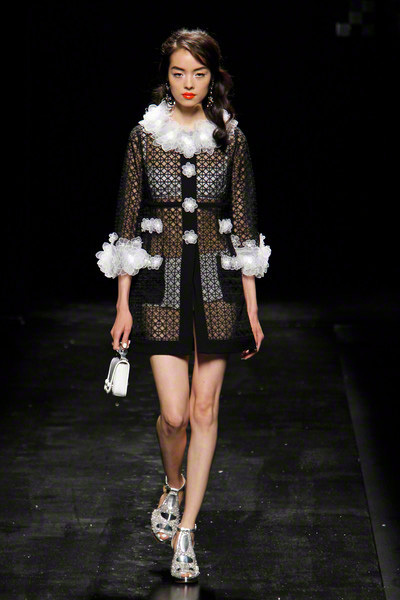 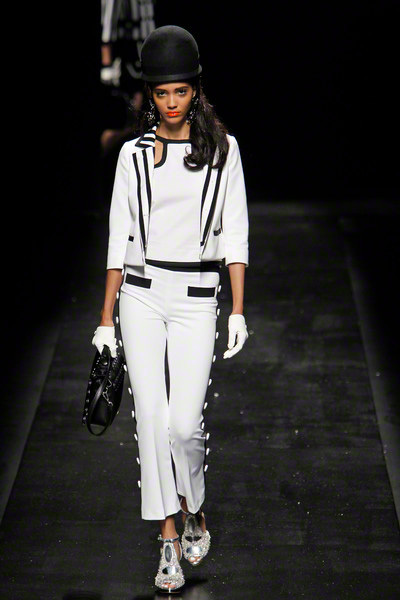 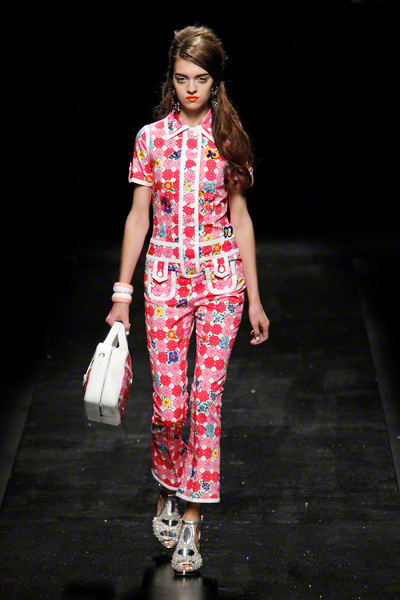 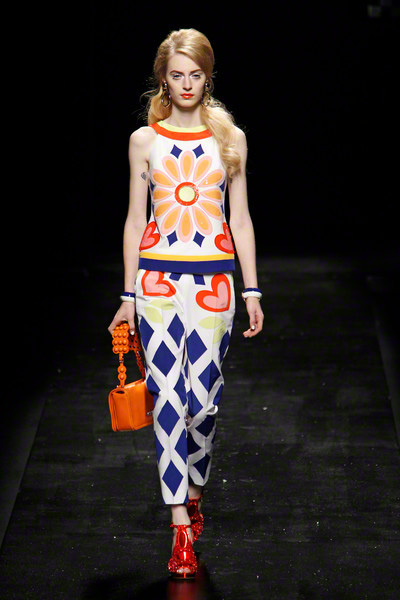 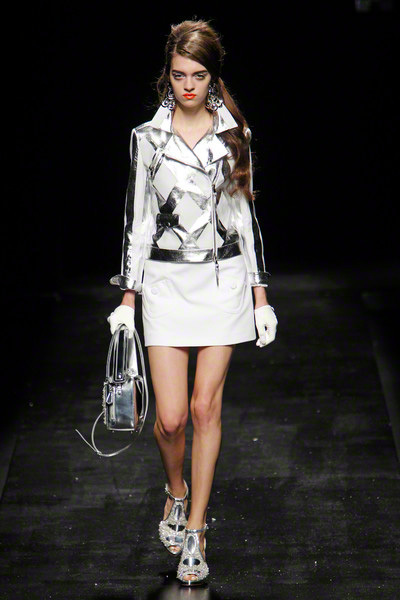 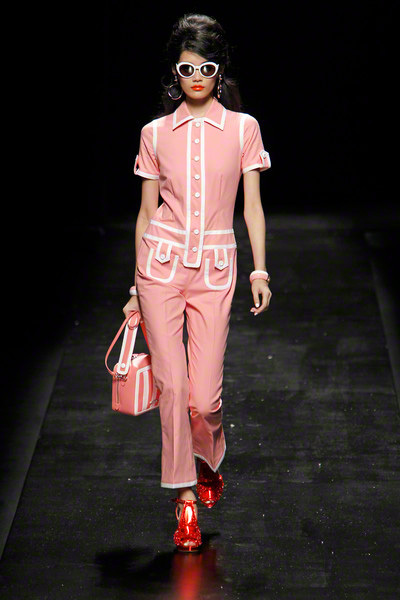 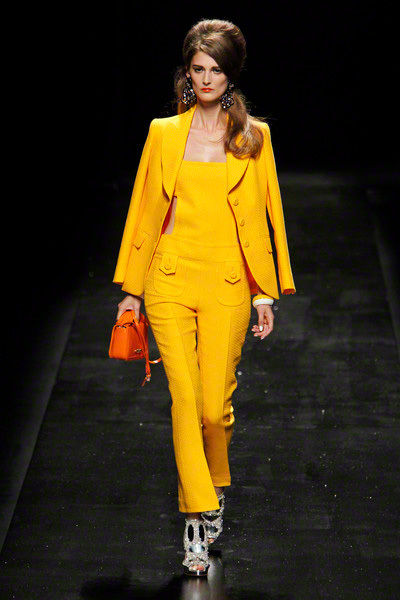 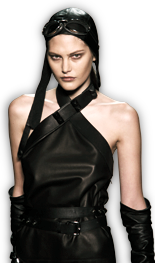 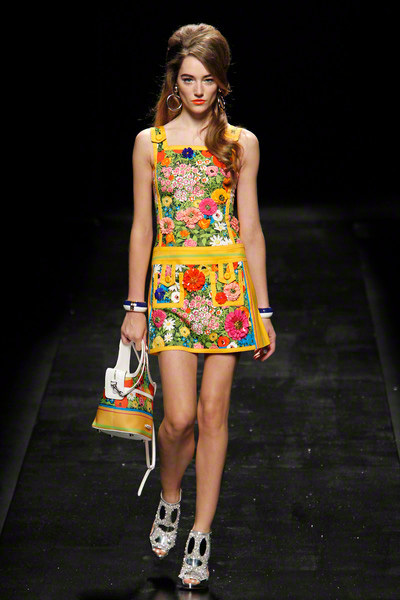 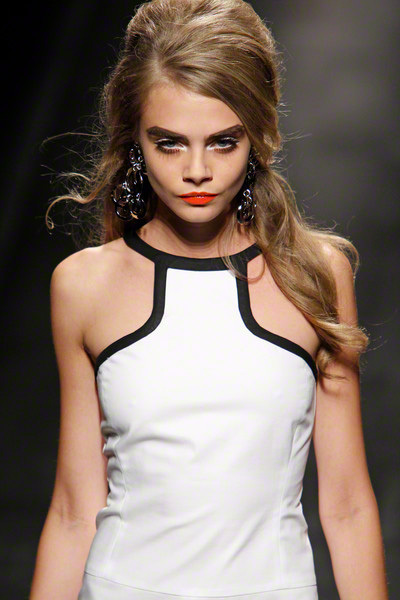 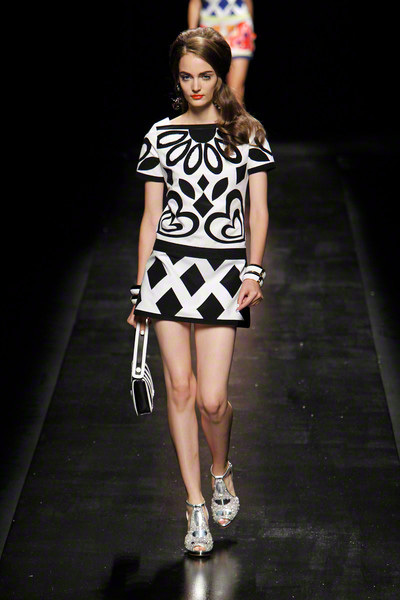 Regarding the round helmets, short A-line shifts and military buttons, Moschino went for Sixties Pop. 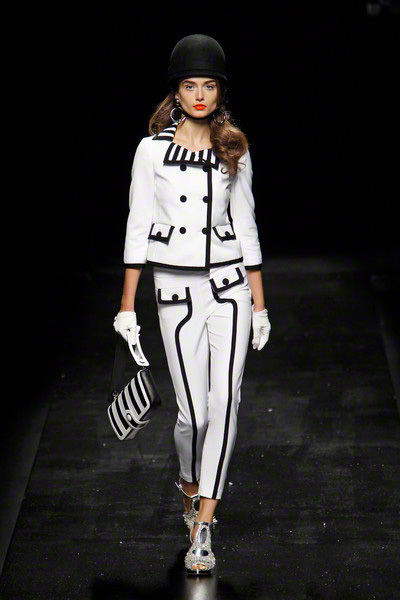 It started with graphic black-and-white worked in bold contrast on piped dresses and suits, cropped jackets, mini skirts and a little tank jumper. 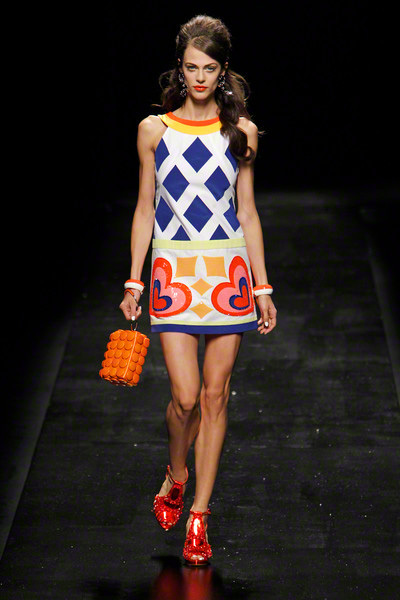 There were jail-stripes and then, once color moved in with orange and blue, cabana stripes. 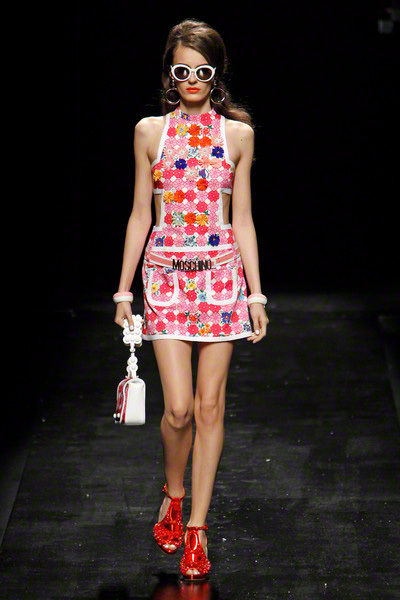 The house’s signature hearts and flowers were also present.